The New England Patriots face the Oakland Raiders on Sunday at Estadio Azteca in Mexico City. This is the Patriots' first game outside the USA since 2012 and their first in Mexico. Oakland played in this building last season, scoring a win. The Raiders are 4-5, following a 27-24 win over the Miami Dolphins in week 9. They are coming off a bye-week and have a chance this week to even their record at 5-5 against a Patriots' team that came off the bye week on Sunday and marched into Denver and put up a resounding 41-16 win. It was their fifth win in a row and they now face their second straight road spot south of the border. The locale of this game could throw a wrench in plans, but it's hard to not notice how well the Raiders were supported here last season in their 27-20 win over the Texans. It's fair to say that with the length of this trip for New England, the support for the Raiders, and the fact that the Raiders made this trip to this building last season makes this more of a road game for the Pats than it is for the Silver and Black. The Raiders have been a bit streaky this season. They started the year 2-0, lost four in a row, and have now won 2 out of 3. They had a big win over the Chiefs, but got killed by Buffalo, rebounding with the nice road win over Miami. They really need to get on a roll now and make up ground after having a lot of bad breaks in the first half of the season. They are hoping the bye week offered a chance to regroup and attack these next handful of games with gusto. The Oakland offense is looking to settle into a groove. Things haven't gone according to plan so far this season more often than not. Tight end Jared Cook has been a nice addition, but the fact that he is the leading receiver shows that Derek Carr isn't making the same connections this season with Amari Cooper and Michael Crabtree. Their one-two punch at receiver has been on some weeks and off in others. And despite two rushing touchdowns last week, RB Marshawn Lynch has been pretty quiet this season. If they get more consistent performances from their receivers and see a run-game contribute more regularly, there could be a spike in production coming. It just hasn't really clicked and what would help is more performances like we saw from the Raiders offensive line at times the last few weeks. Overall, the defense hasn't been that great for the Raiders. It's not like they were so good last season, but they made up for it with some big plays, timely stops, and clutch play late in games. This season, those attributes have not been seen that much and they're a bottom-half defense that isn't making a ton of positive contributions to the overall team effort. Khali Mack is leading the team with 4.5 sacks, but even he hasn't been his normal self from a playmaking standpoint. Getting NaVorro Bowman might eventually pay off, but they need some playmakers to rise to the occasion. They have yet to pick off a pass this entire season and that's just an indicator to the small amount of positive contributions that they've made this year thus far. This looks to be a difficult spot for the Patriots. Denver is known for its high altitude, but it's even worse in Mexico City. Could they be a little ragged come Sunday against an Oakland team coming off the bye? One shouldn't count on it, as the Patriots have really gotten their act together after some uneven spots earlier in the season. They have seen different aspects of their game take form, with an improving run-game and better play of defense. They don't shoot themselves in the foot, as they again had no turnovers on Sunday. They are just a very reliable and competent football machine right now and again appear to be conference frontrunners after looking like they had taken a step back earlier in the season. As is his wont, Tom Brady was against good on Sunday, going 25-for-34 with 266 yards and three TD passes. He connected well with TE Rob Gronkowski and WR Brandin Cooks, while hitting James White, Rex Burkhead, and TE Dwayne Allen with TD strikes. In addition to the backs catching passes, Dion White ran one in on the ground. Brady reconnected with an old pal in Martellus Bennett, who was re-signed earlier in the week after he was let go by the Packers. Brady is nearing 3000 yards with 19 TD throws against just two picks. The 41 points they scored on Sunday was a season-high for the Pats. A big assist goes to a dysfunctional Denver special teams that was setting the New England offense up with gret field position, even giving up a score. The defense was again on-point on Sunday. This part of the team has really orchestrated a drastic turnaround this season. In the first four games of the season, they allowed 128 combined points. But in their last five games, opponents have only scored a combined 67 points and while they are still giving up aerial yardage, opposing quarterbacks aren't having the huge games they were having earlier in the season. They didn't beat a terribly-strong offense in the Broncos last week, but have contained some good offenses over the past month. On Sunday, Patrick Chung recorded an interception, as they are starting to get more turnovers. Moving forward, however, this defense would really be a lot better if they could apply a more-consistent pass rush and get more big plays overall, like in the form of turnovers. These international games always throw another variable into the mix that is hard to properly account for. One would be justified in saying this has a home-game feel for Oakland, with the support they got here last season and the shorter distance. From New England to Mexico City is quite a jaunt and that altitude is another consideration. Not that the Patriots are a team that would typically be beaten by conditions such as those, but it's something to mull. I see the Raiders covering the number this week down south. 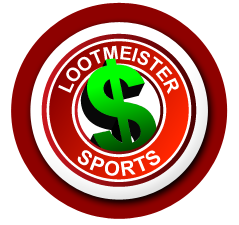 Loot's Prediction to Cover the Point Spread: I'm betting on the Oakland Raiders plus 6.5 points. Bet the Patriots vs. Raiders game for FREE by taking advantage of a massive 100% sign-up bonus on your first deposit of $100 to $500 at GTBets!